Please not that this feature was newly added to the list in Feb 2010, and some details may need to be adjusted as time progresses. The list software the the ArlingtonList uses offers regular subscribers to the list to filter thier subscription by predefined keywords placed in the subject of the messages. To digest subscribers, I am sorry to say but there is no option to filter the digests. 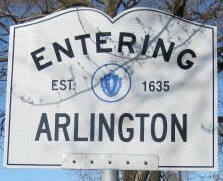 You can set up your filter options at the standard option page at http://arlingtonlist.org/subscribe/ where you can log in with your email address and list password. Part way down the page is a set of boxes to select which categories of messages you wish to receive, and in the next section an option to receive messages that do not match any of the categories. You may check the boxes for categories you which to recieve, and messages that do not fall into those categories will be dropped from your subscripition (they will still show up in the archives if you search there). At a minimum I would request that you subscribe to the admin category which will be used to post important notices about the list. Until tagging becomes very common, you probably also want to include the unclassified messages too. A place to post recommendations for a local business/service or to ask about one. Announcements for upcoming events in or about our town. Late breaking announcements about things that have happened in town. Talk about our town way back when.